We want to make sure you’re kept up-to-date on the status of the real estate market in the Madison, Dane County, Wisconsin area. Each month we create short Market Update Videos reflecting the present condition of home sales in 25 areas. 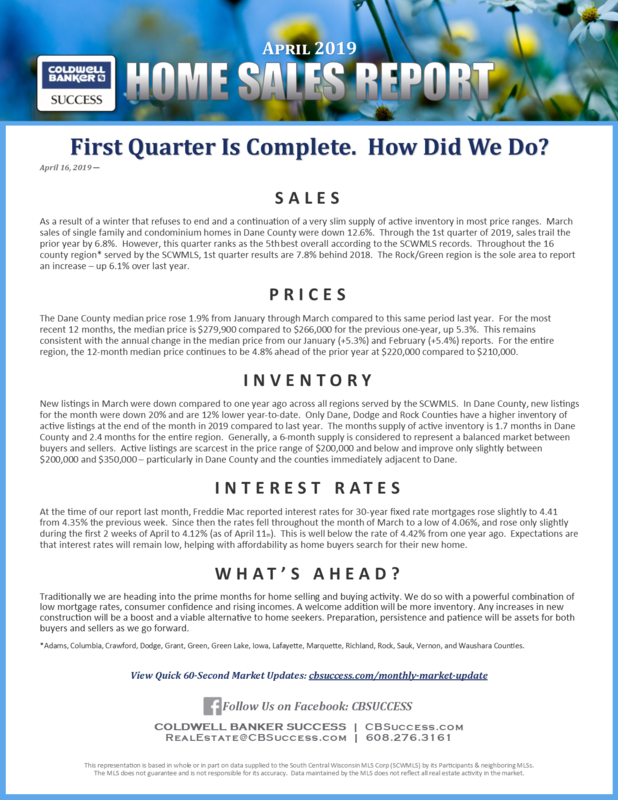 For a comprehensive look at the residential market we invite you to view our monthly Home Sales Report. Our Homes Sales Report PDF provides a more in-depth look at the local housing market.